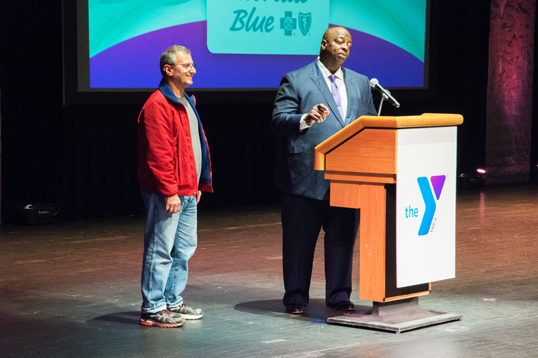 The YMCA of Florida’s First Coast awarded Florida Blue as the 2018 recipient of the E. William Nash, Jr. Legend Award for Community Partner of the Year. 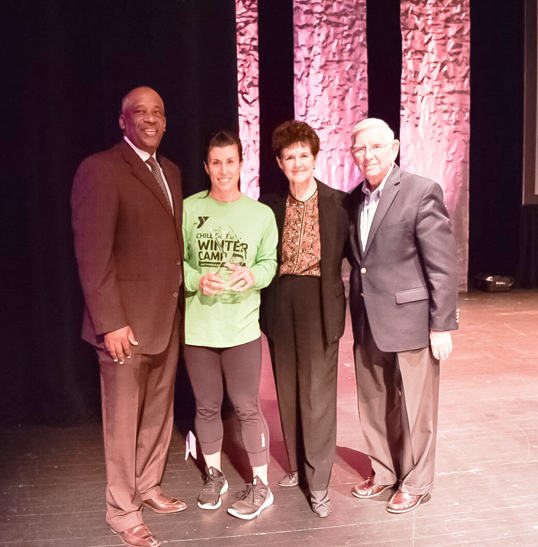 Presented at the 8th Annual Y-Bash held at the University of North Florida last week, the award acknowledges Florida Blue, and its Executive staff for their consistent support. Making Kids of All Ages Safe in the Water, Academic and Life Achievement for Our Youth, Helping Teens Become Leaders. 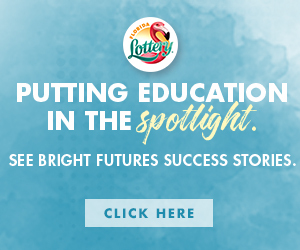 Funding these priorities and the dedication of community partners such as Florida Blue helps the Y build a strong, supportive foundation for the communities it serves. YMCA of Florida’s First Coast is celebrating its 110th anniversary of serving the Northeast Florida community through youth development, healthy living and social responsibility. For 110 years, YMCA of Florida’s First Coast has been providing men, women and children of all ages, and from all walks of life, opportunities to build stronger bonds, live healthy and become more engaged with their communities. Learn more: www.FirstCoastYMCA.org. 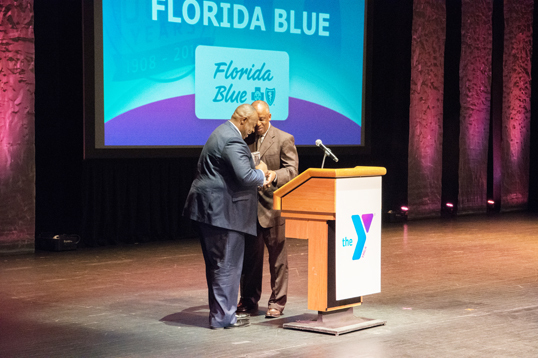 Shown is Florida Blue North Florida Market President, Darnell Smith, receiving award from Eric Mann, CEO YMCA of Florida’s First Coast President CEO Eric Mann.